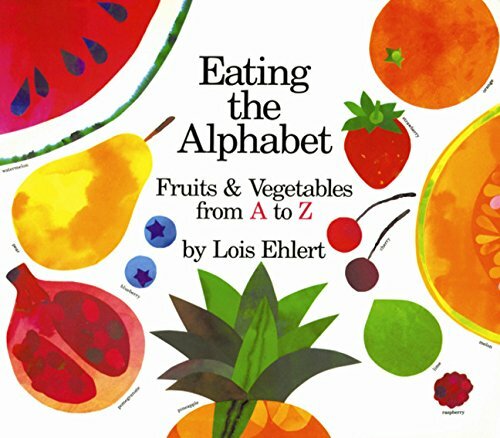 Continue learning the alphabet as we move on to our H craft! 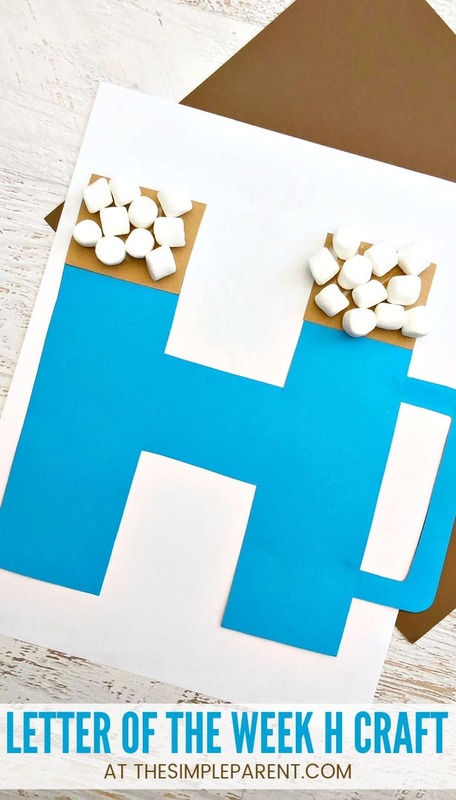 The next letter in our Letters of the Week craft series is the Letter H. Since its still winter around here and we had fun playing with our Hot Chocolate Playdough, it only made sense to make a Letter H craft that was hot chocolate too! 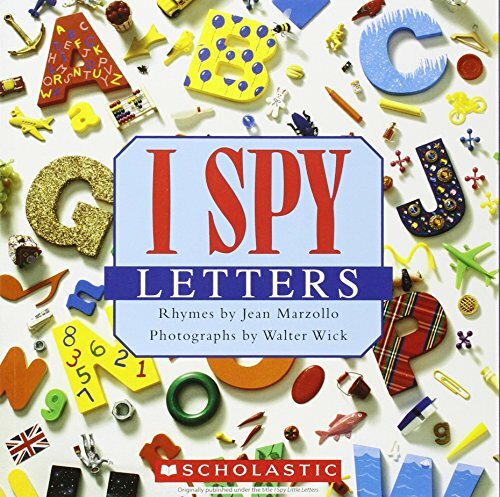 No matter what time of year you’re learning about letters, you can make this easy craft together. 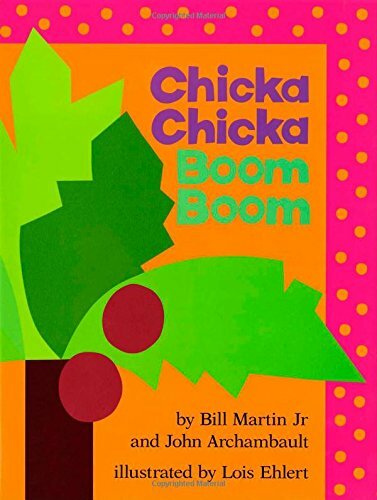 It’s a fun one to make because the kids love anything that involves marshmallows! It also pairs great with our Hot Chocolate Playdough for more fun. I also suggest making some hot (or warm as my kids always remind me) chocolate to sip on after you make your H craft! Each of our letter of the week crafts includes a step-by-step tutorial that requires just a bit of adult prep work! You can use any color paper for the mug in this craft project. We chose blue because we had it on hand and it’s one of the favorite colors in our house. 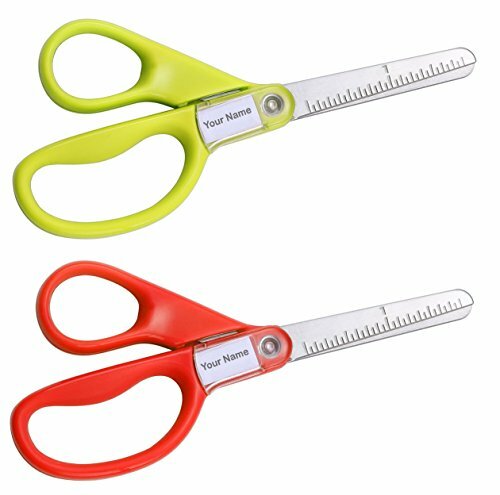 But you can change it out for any color that your kids would prefer to you! STEP 1. 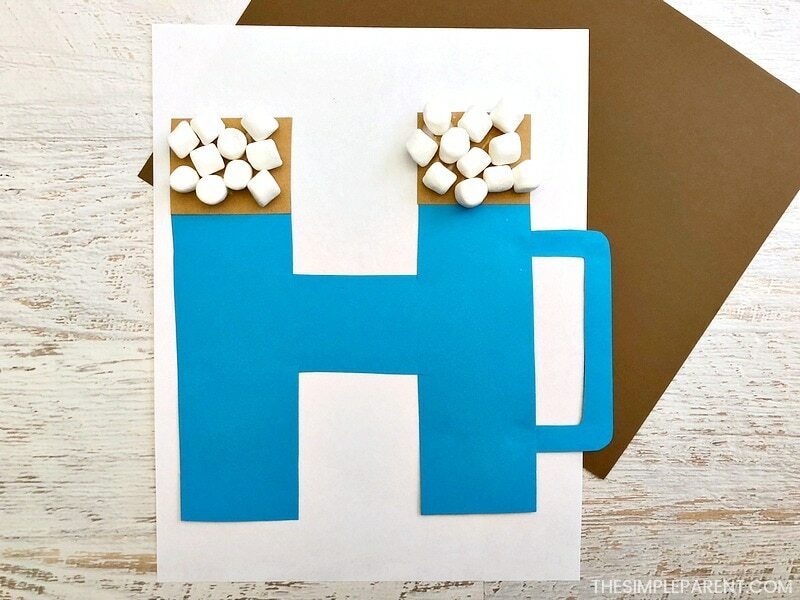 Draw a letter H onto your blue and light brown paper and cut it out with scissors (if you’re not a great freehand drawer, print a letter off your computer and trace that). STEP 2. Glue your blue letter H to the center of your white paper. STEP 3. 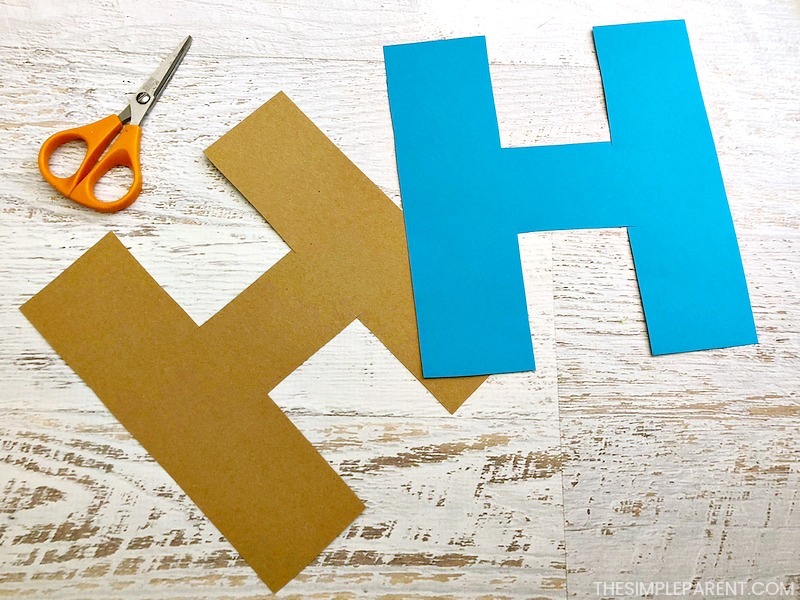 Draw a line across the top of your brown letter H, cut out with scissors and glue the brown blocks on top of the blue H.
STEP 4. 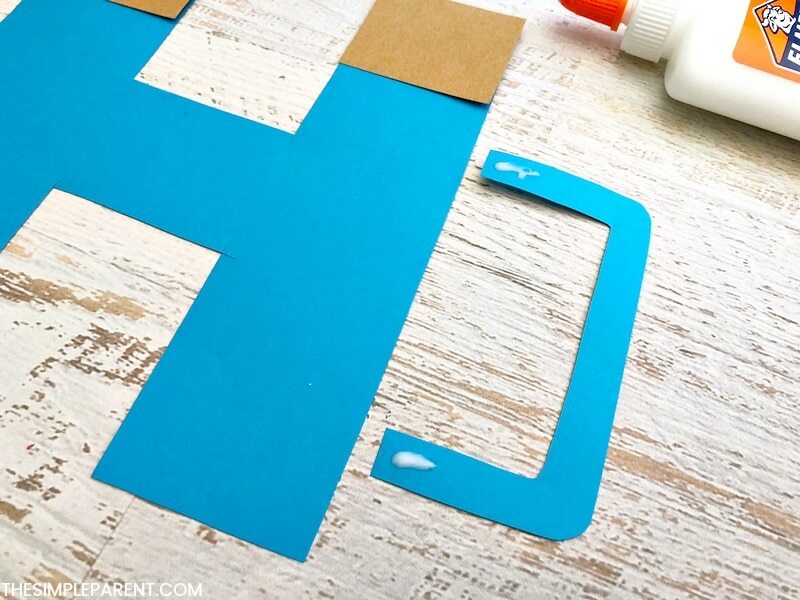 Draw and cut out a blue handle and glue it under the blue H.
STEP 5. 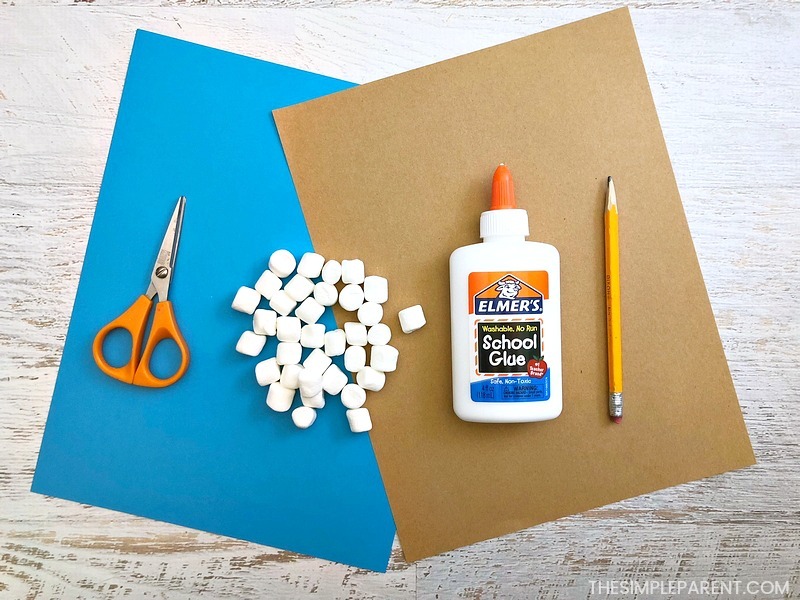 Glue Marshmallows onto the brown blocks and let dry. 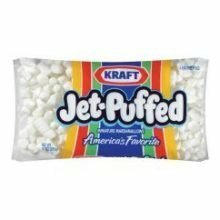 If you don’t want to use marshmallows, you can always use little white pom-poms to get the same look without the food aspect! 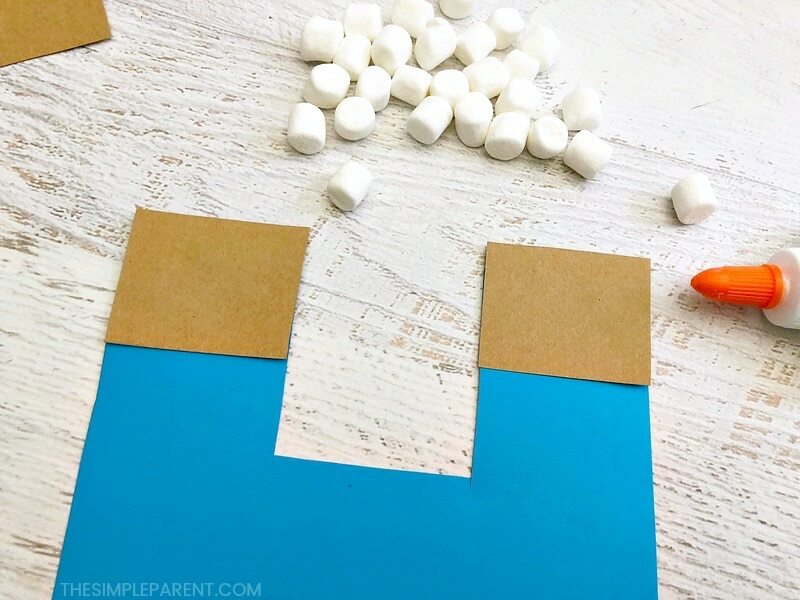 This craft is fun on a cold winter day, but no matter when you’re learning about H, this H craft is kid-approved! Scroll down to pin this post for later of CLICK HERE TO PIN IT! 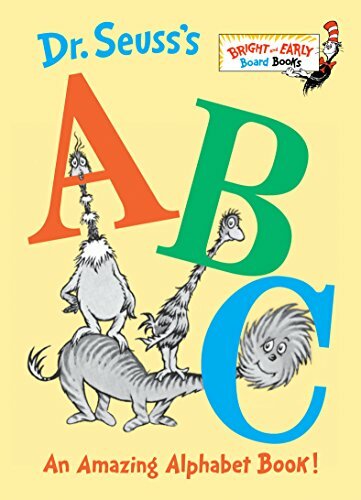 We also love reading some of our favorite alphabet books when we do our ABC crafts! 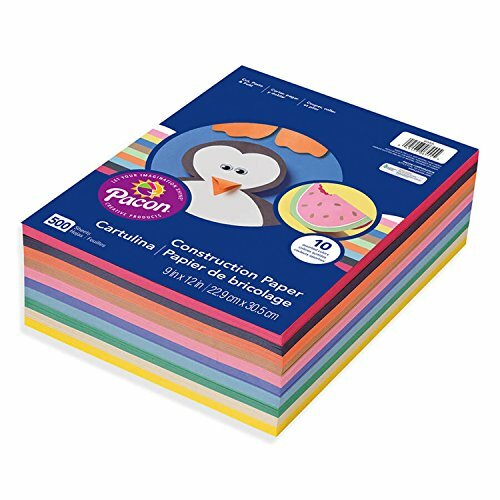 And if you’re looking for another craft to do for H, this H is for House craft is one the kids enjoy a lot too! « Low Carb Stuffed Peppers without Rice Make Healthy Easy!